What is bookscouter.com? It reduces the clutter of books in the home. Surprisingly, I was asked this question recently. What is bookscouter.com? Obviously, the person who asked the question was very busy, and had no time for research on the internet. What is bookscouter.com? It is a website that generates vendors for you to sell your used text books and other books to earn some cash. Nobody denies that having too many books around the house adds to clutter. What is bookscouter.com? It reduces the clutter of books in the home while helping others. In other words, people can buy books at a cheaper price from different vendors. What is bookscouter.com? It is a website that shows you a list of vendors who will purchase the same book, but all have different prices. Surely, text books are quite pricey, so students are always trying to sell them back after they use them. For sure the bookstores on college campuses never offer a good deal on these books. In the first place, they don’t even think about how much you paid for these books, but only offer pennies for them when they buy back. Assuredly, I share this post with the hope that you will use this website to sell your used text books and other books to earn some cash. As a matter of fact, the first time I heard about bookscouter was when my daughter finished her first year in college and wanted to get rid of her used text books. As I helped her, everything was super easy as I followed through the entire process of checking for vendors, comparing price offers, packing boxes of books and printing shipping labels. 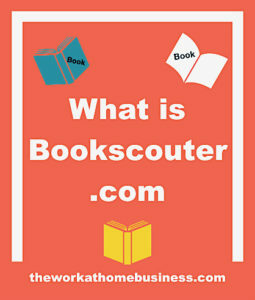 Notably, the launch of bookscouter.com makes it easy for you to find vendors. To explain, the list of vendors indicates that there is a buyers market for used books, especially text books. Ideally, it is super awesome for people in higher education: students, teachers, and all others. With this website, you not only compare the prices that vendors offer, but also the reviews, the star ratings, as well as the shipping options. To emphasize, bookscouter.com does not buy the books from you. Rather, the site shows suggested vendors who will purchase your books. Bear in mind that there are several websites for you to sell used text books, but bookscouter is certainly a quick and reliable source for you to use. Without a doubt, you want the best price and vendor prices vary. Therefore it is worthwhile to run a search and make comparisons for the best price. That is exactly what bookscouter.com does for you. In fact, this site transfers the ISBN of your books to over 30 websites and makes price comparison easy. 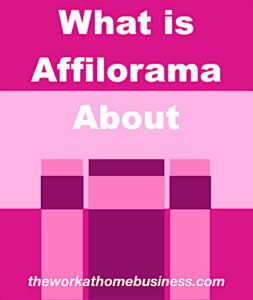 At the click of your mouse, various offers from different vendors show up for your book. Of course, this is a quick process for you to choose the best place to sell your used text books. Watch this short video for details. To get started, just register with the company before you start the search for vendors. Secondly, you need to find the ISBN of each book and type it in the search bar. Immediately, the website generates a list of vendors with an indication of whether they are currently buying. Next, check the list of vendors and the offers. Of course, take a note of the reviews and ratings especially the preferred merchants. For sure this is an indication that people have a good experience with them and they are trust worthy. Following that, select the top few vendors that you are interested in and check their websites. For sure, check the prices that each website offers, compare them, then put forward your order. The vendor’s website will give an idea of the minimum amount of books they accept, and whether they offer free shipping. In case you decide to use a vendor, you will be directed to print the prepaid shipping labels, pack your books and ship them. A key point to remember is to check the positive and negative reviews on different vendors. For details of how users view these vendors, you can look at the vendor page, so you can compare and select the right ones. Rest assured that BookScouter tests each vendor to make sure you have a good experience with them. Certainly, they look at how users rate them, how quickly they respond to users, the timely payment to users, and of course shipping. For payment some vendors use PayPal and others use check. Before payment is made, the company accepts and checks your shipment. Once they are satisfied with the condition of the books, you receive payment within a three-day period via PayPal. Payment by check however will take about 3 – 7 days. Bear in mind that each vendor pays according to their scheduled time. Even though the books may be used, shipping them in good condition is the ideal. In light of this, books that are almost new will earn you more money. Obviously a book that has damages from water, have missing pages and overdone highlighting is considered poor condition. Surely vendors will reject such books. The fact that BookScouter has rolled out an app for Android and iOS devices, makes the process easier. For sure you can just scan the bar code for the book and get the ISBN. As a matter of fact, some people enjoy using the App to shop for books that they want to resell. By all means, they will buy cheap on Ebay for example, and resell on bookscouter.com for a profit. In case you want to earn extra bucks from home, reselling books can be a way to do so. Note there are many people who still prefer to turn the pages of a book, so it’s not a bad idea to cash in on the opportunity. This company does not find vendors who buy books that are rare. To put it another way, they do not provide for collectibles, or antique books. The key point to note here is that the ISBN for such books are usually missing, and it is difficult to ascertain a price. In case you have older books that were published before 1970, they may not have ISBN. This makes it difficult for this site to find a vendor who will buy them. Overall, this company helps to take the hassle out of your research when you want to find the best places to resell used books. What is bookscouter.com? Certainly, it is not a scam, but a legitimate company that makes it easier for you to earn extra cash when you sell new or used books. What a wonderful serendipitous find of you website today explaining bookscouter.com! What a fabulous service – I have stacks of years of University Texts from the 1980s so Im sure they all will have ISBN #s.
I am glad you found the information helpful. When I first discovered bookscouter.com, I was so happy, because I only use to sell my books on Amazon. I hope you will get the best price on all your books. I came across bookscouter.com today as I was doing a write up on my blog. It is great that they will find vendors and list prices your book can potentially be sold for just by entering an ISBN number. Unfortunately, they do not operate in the UK where I live so my next best bet will be Amazon. I will, however, use Bookscouter to gauge how much I could sell my used books for and use this to set my price on Amazon. Bookscouter is really a great place to check potential prices for used books. Sorry to hear that the service is not offered in the UK, but I am glad to know you can use it as a guide to to price your books on Amazon. Yes. No worries. I will use it as a price guide for selling my books on Amazon. That’s a cool idea Jacqueline. I am glad to know that you can still use it as a price guide.